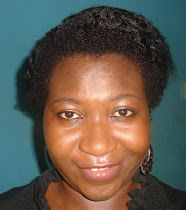 I knew Oluwatoyin Akanbi. He was a regular guy, cool-headed and very ambitious. Things appeared to be going well for him until last week Monday, the 18th of February 2013 when he left his home to go to work early in the morning but never arrived at his desired destination. We got the news in the evening about his disappearance and soon enough there were lots of BB and FB posts showing his picture and the information about him. I was curious to know whether he had been found and tried to ask people who might know him if there was any new information about his whereabouts but no one seemed to have heard anything until the evening of Monday, the 25th of February, when my husband told me about a BB post which claimed his body had been found. I wanted to disbelieve it and just hope that it was one of those rumours spread by some mischievous people but by the next day I knew for sure that Toyin was indeed gone from among us because everyone seemed to have the same information. The news of his death was also announced in the Punch newspaper (yesterday). 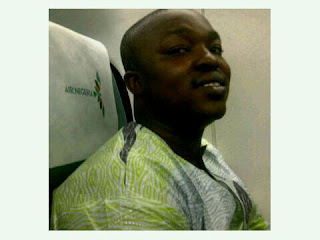 I mourned Toyin but not just him; I mourn a dead society of which I am a member of. 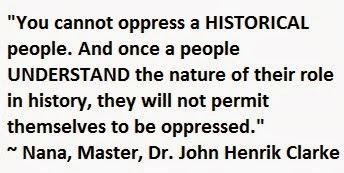 I mourn many people who have fallen victim to the horror of the society that we have cultivated over time. I mourn the killers in same way as I mourn our leaders (political and religious). I mourn because it could have been you or me. I mourn our inability to truly feel, see, hear and express. I mourn because all that we now feel, see, hear and express are materialistic and surface and so our society has become largely desperate and is becoming even more desperate with everyone scrambling for ‘things’ so that they can ‘belong’. I mourn the insensitivity in our leaders and much more in the followers who may accept this evil as ‘’the will of God”. This clearly isn’t the will of God but the will of man (killer(s)) who was born as an innocent child but grew up in a society that has made money a god to be worshipped and who will kill a fellow man to acquire it. I mourn a society where the security forces are in employment to serve the interest of only the top-notch officials and communities, a society where life can end just like that. Our eyes are sore, our ears are full and our hearts are very heavy from all the horrifying news about killings, religious and non-religious and none of those whom have promised to assuage these situations have acted in line with their promises. I mourn because there is a high probability that his killers may not be apprehended and these psychopaths that we have cultivated and nurtured (directly and indirectly through our everyday actions and inactions) will go after another victim who may not be someone I know but someone you know. I mourn because we are still religiously and tribally blind to the reality of what inheritance we are gradually leaving behind to ourselves and to generations that will come after. I mourn because we will carry on with life 'as usual' and just say 'eeya', omase o', 'RIP' and continue with the attitudes, behaviours and lifestyles that promote these evils. I mourn a dead people, I mourn and I’m still mourning. Odi gba o se, Toyin. "Sad sad sad !!!!! A brilliant mind wasted off because of what?? the car? What do you expect if top government officials can settle off kidnappers !!!!!! No police protection anywhere !!!! !no crime scene investigation. We can all read this story and look away and try to forget the story,his family would be in great sorrow as a champion's life is cut short by callous humans who would continue to roam the land of the living waiting for another unfortunate victim. I used to think crime stories read in newspapers were just situations that happen to unlucky and not-so-smart people until the day a gun was pointed at me in Ikeja and i was robbed in the midst of severally passerby(s) and a policeman that hid himself in a commercial bus, that was when i realized it could happen to anybody; all being victims of circumstance !!! R.I.P friend !! and if there is anything reincarnation, next time you coming avoid Nigeria." ...Hmmmm! What a country we found ourselves...Where nothing ever works, security, electicity, road, water bla bla bla!!!! 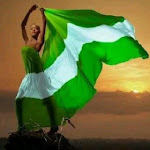 The Nation has so much deteriorated to the very worst level, when i was a child we are being told that Nigeria will be better, a popular song, Nigeria go better!!! !, Africa go Better! eeeeeee. Honestly within me i weep for this nation everyday when i see the way the country has turned to...And we have the so called Leaders. We are really DEAD PEOPLE! DEAD NATION!! DEAD NIGERIA!!!! A world where everybody prefers to queue for lies even when Truth is campaigning with its posters showing all its ever true promises of goodness. A world where wife fails to rebuke her husband when he joins the league of the oppressors, she would rather keep quiet or join him in mocking the defenceless. A world where the abnormal are now normal and the normal abnormal. A world where kings are slaves and slaves kings. A world where the brilliants are dullard and the dullards, brilliant. God please save us from the wicked.